Watching Erin Lalley-Bauer thoughtfully craft a wreath is to witness pure creativity at work. 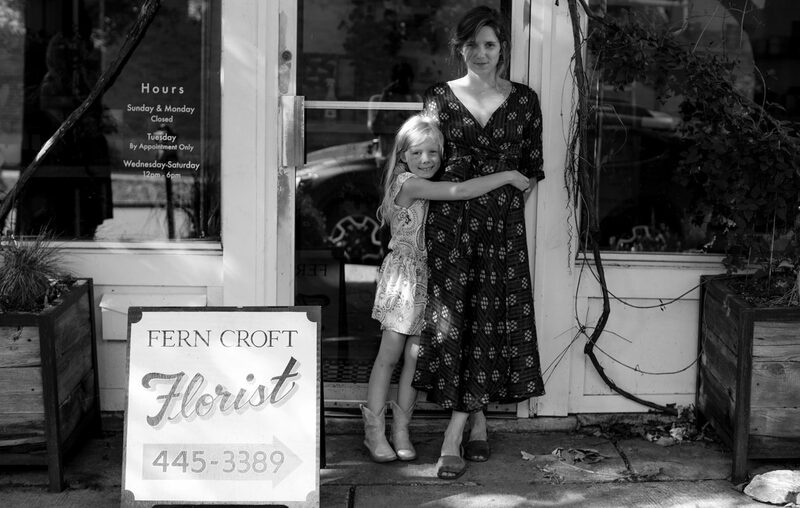 The owner of Fern Croft Floral has cultivated a reputation for her fresh, inventive creations — her style an effortless ode to the natural beauty that surrounds us. Here, she proves just how dynamic sustainable design can be by creating a wreath for both fall and winter from the same foraged grapevine base. Each captivates with its calculated entropy, a mastery of texture, color and motion. What elements did you use to create these wreaths? The base of the wreath is made from grapevine that I foraged. I have found it's best to source grapevine in the fall, it is more flexible and forgiving making it easier to work with. For the fall version, I incorporated eragrotis (ruby silk grass) to create movement and gestures. Daucus Carota for a bit of whimsy. To transition the wreath to winter, I tucked in some Colorado Blue Spruce. One of my favorite conifers, the gray-green leaves provide a subtle contrast against the browns of the pine cones and grasses. I chose these materials based on their texture and color. The unconventional use of these materials allows for curiosity and inquisition. I am a minimalist, and believe that anything you create should have integrity to it. You’ve become known for your wreaths. How did that begin? And why do you like creating them? I have always been interested in the decorative arts, and the cultishness of objects. When I started experimenting with asymmetrical wreath designs I felt a challenge. There is this careful balance to establishing a sense of entropy. Once I was able to achieve this, i allowed me to further push the boundaries of design. What tips or go-to tricks do you have for transitioning a piece between seasons? Keep your eyes open and your mind in tune to the changing seasons, particularly trees. Take a walk in nature. Conifers work well in the winter. Collect pods and pine cones in the summer and allow them to try out.